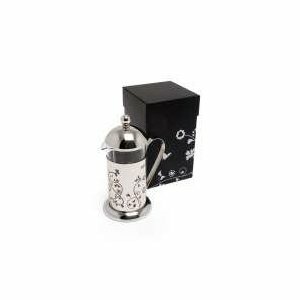 Using a coffee press to make your coffee is widely regarded to be the best and easiest way to get the most flavor from your favorite coffee. Simple to use, just add the recommended amount of coffee to the pot, cover with water just off the boil and let steep for 4 minutes. Once the coffee has steeped for 4 minutes, gently plunge the grounds to the bottom to stop the brewing process. The beautiful design by Alison Appleton will only enhance your coffee drinking experience. This pot is packaged in a beautiful gift box, perfect for gift giving. 8 Cups refers to 8, 4 ounce cups. Capacity for this press is 32 ounces.